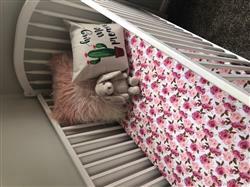 Complete your babies nursery with our unique ultra soft crib sheet. Pink vibrant roses in viscose from bamboo for your peanuts delicate skin! 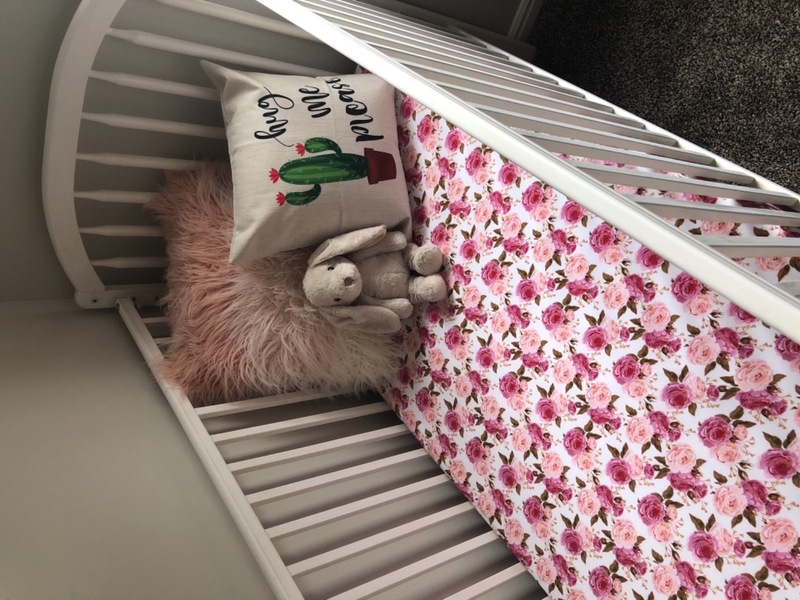 Our cover has been perfectly designed to fit all standard baby mattresses. High quality 360 elastic around the entire crib sheet ensures a tight fit that looks clean and modern. Breathable viscose is great for your babies delicate skin, will not trap heat and buttery soft. Love the quality of this product. The print is even more gorgeous in person! Very happy customer over here!! Thank you! Sheets are better then expected!! Love the print and they are so soft. Thank you for such a great item!! !